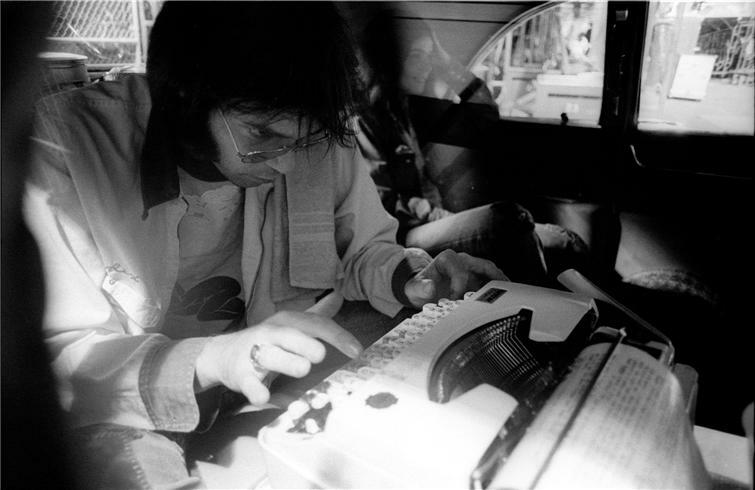 Free conjectures about two released albums that have always fascinated me among the many aborted projects by Neil Young. Stefano Frollano in his italian book Neil Young Discografia Illustrata, adds “Daughter” to the songs possibly considered for this record; and maybe also “Through My Sails” (previously recorded with CSN) was in the can. Only Archives Vol.2 will throw light on Mediterranean’s concept and its recordings, if something was actually recorded. The album was soon aborted, so we can forget a release among the Archives Vol.2 surprises (Homegrown, Chrome Dreams and Oceanside/Countryside are announced). At least we will have an idea of the album if Archives contains some tracks or demo of that period. Some of Mediterranean’s songs were considered later for new projects, as the following Homegrown, but they were bound to oblivion: just “Star Of Bethlehem” became part of an album (American Star ‘n Bars) and “Deep Forbidden Lake” part of Decade anthology. 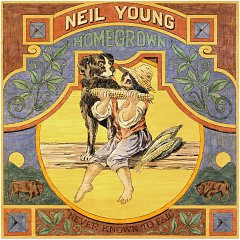 Between the end of 1974 and the beginning of 1975, Neil recorded many songs and filled out probably his most famous unreleased album: Homegrown. After the “dark period”, this album with its traditional songwriting was ready to be a return to home for Neil, and the return to the old Harvest glory. Despite the strength of the songs, Neil himself said it was a “very depressed album” due to the separation from Carrie. It’s a well-known story: after listening it, he decided to put out Tonight’s The Night, which was accidentally on the same tape. Homegrown is ready to be “recreated” and released on Archives Vol.2. Until that lucky day, we can just make conjectures about the song list. According to Rogan it should be: “Homegrown”, “Star of Bethlehem”, “White Line”, “Little Wing”, “Try”, “Four Walls”, “Separate Ways”, “Vacancy”, “Florida”, “Kansas”, “Mexico”. But there are many other tracks of that era that could be considered for the tracklist. Frollano mentions “Chaning Highways”, “Daughters” “Love is a Rose”, “We Don't Smoke It”, “Pardon My Heart”, “Give Me Strength”, “Home Fires”, “The Old Homestead”, “Long May You Run”, “Tie Plate Yoddle #3”, “Love Art Blues”, “Deep Forbidden Lake”. Only the session chronology, from an official source, will throw light on these songs, when they were recorded and for which album. But surely Neil in 1975 was embarking on an astonishing creative moment: three years of sessions, ideas, concepts, some completed and some other not. We can listen some live takes, and they are brilliant and intense.